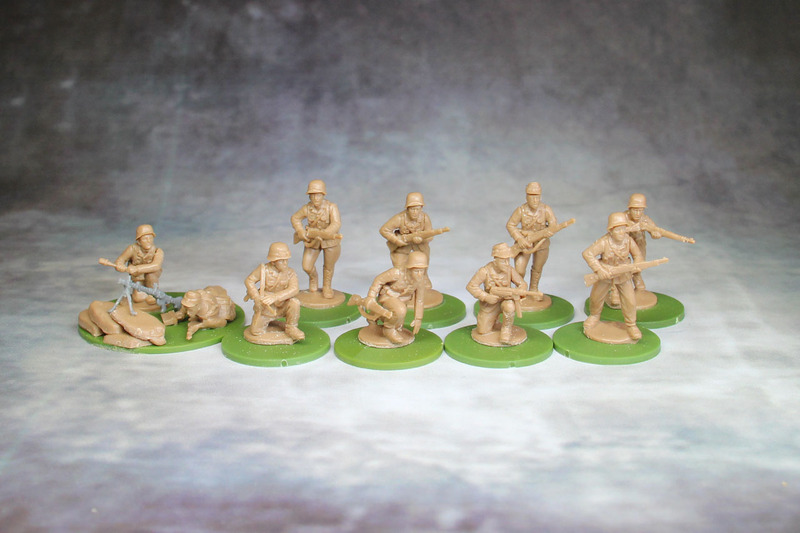 I built my Afrikakorps already, but want to share my impressions of the plastic Afrikorps by the Perrys in this small review. 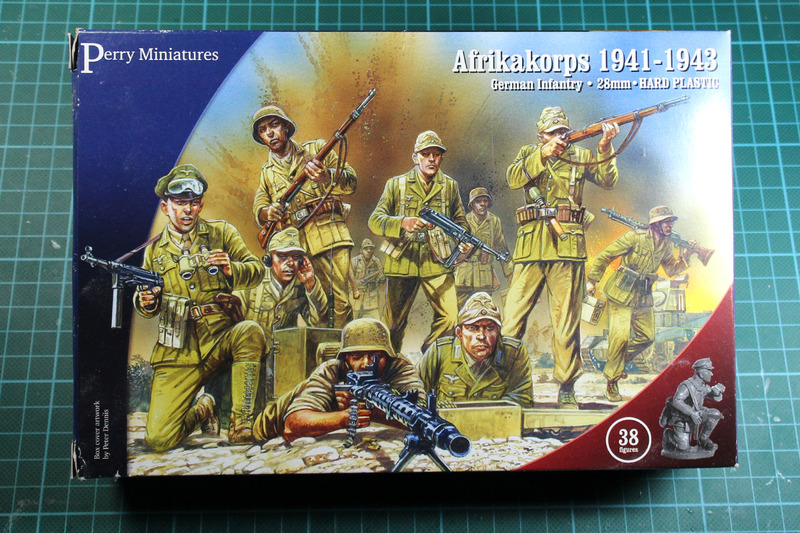 For 20 GBP you can buy the Afrikakorps boxed set with 38 detailled plastic miniatures. 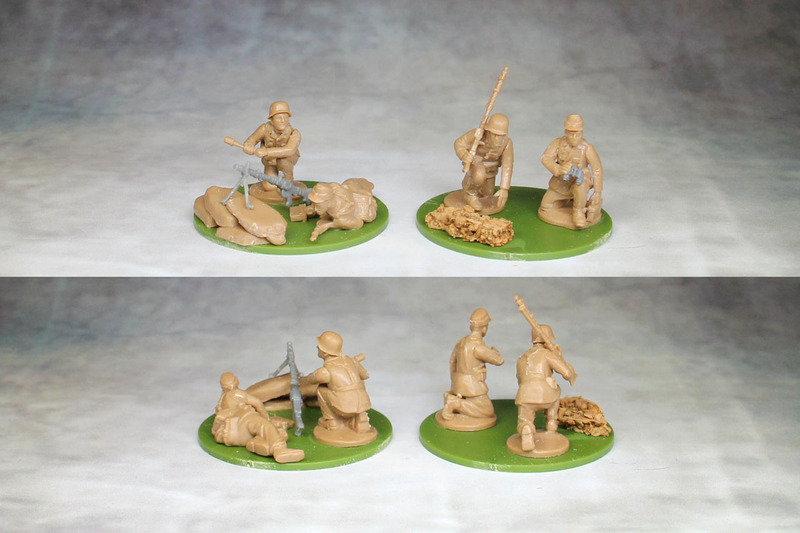 It is the second plastic set for the desert campaign and supplements the british desert rats. 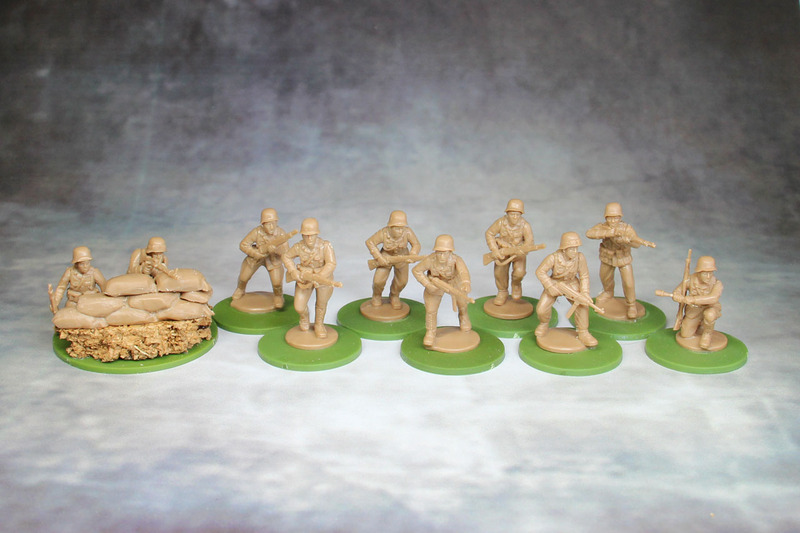 Each box contains three large sprues including 12 soldiers in different poses, lying, crouching and standing up / running, along with a command sprue covering two soldiers. The casting quality is pretty good and has quite a lot of details. 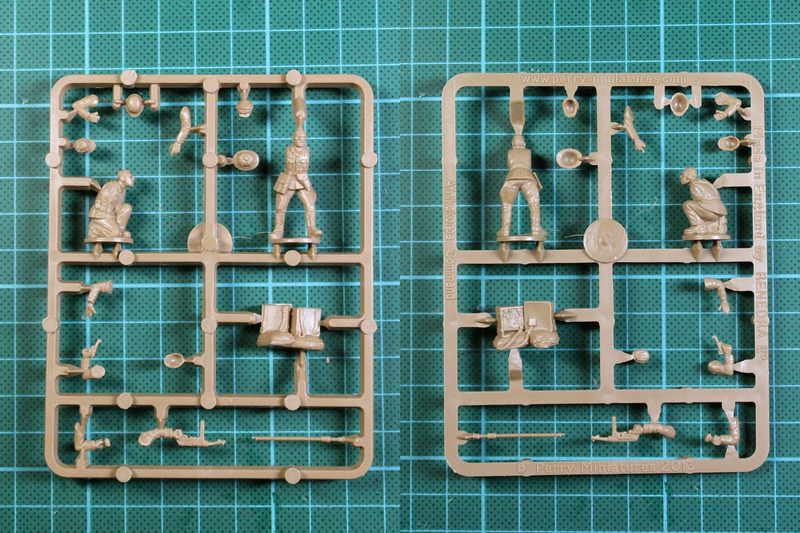 Unfortunately the poses and gestures you can build, aren't as dynamic as with the first box (which covers the elite LRDG as well), so most soldiers end up carrying weapons right from the sprue. 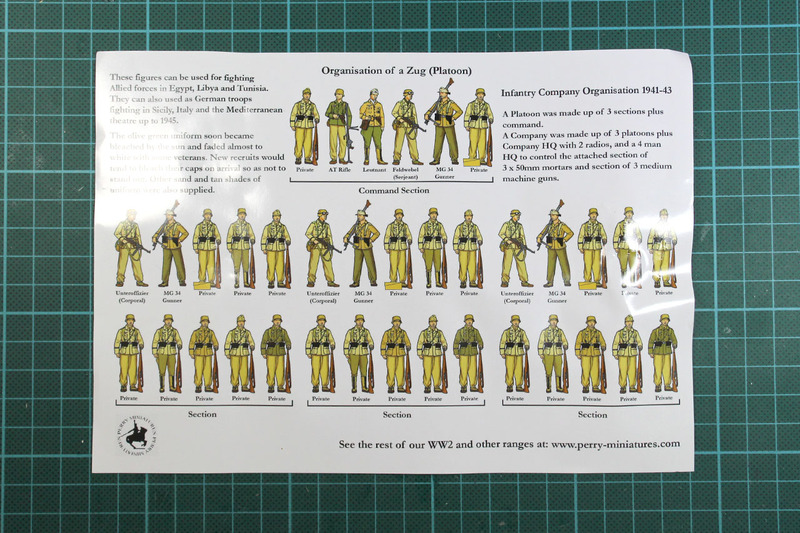 In addition the box includes a double sides leaflet with the building instructions and short information about the platoon organisation. 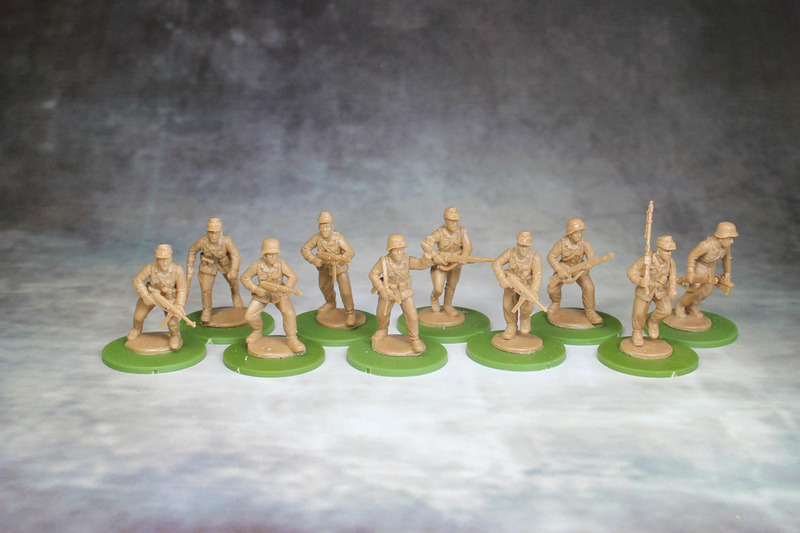 Two boxes of this fine set, give you already a lot to build proper army. First i went with a SMG heavy pioneer squad. Two veteran grenadier squads, and two regular grenadier squads (same weapon load out). I added some small bitz from the Warlord Blitzkrieg infantry to have a single pair of binoculars and the freestanding MG. 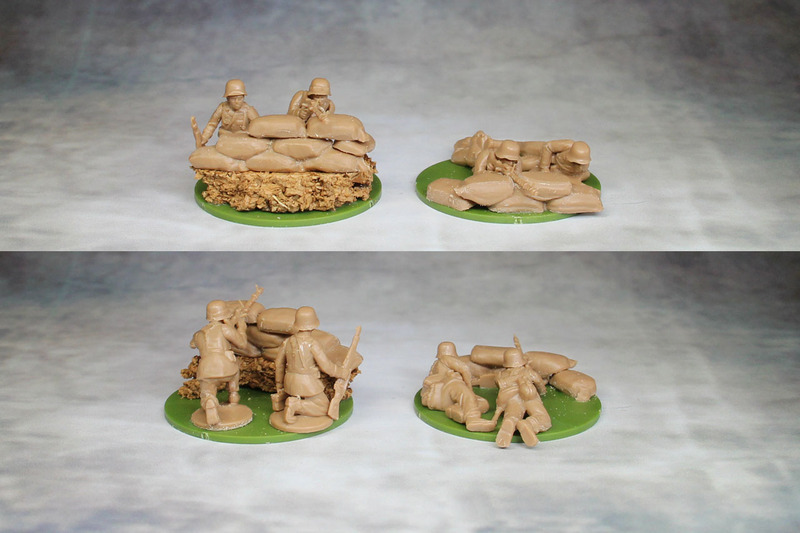 The sand bags are from the renedra accessoire sprue and do fit well with the Afrikakorps. A collection of the weapon teams that have been modified to cover more variants and more dynamic poses. 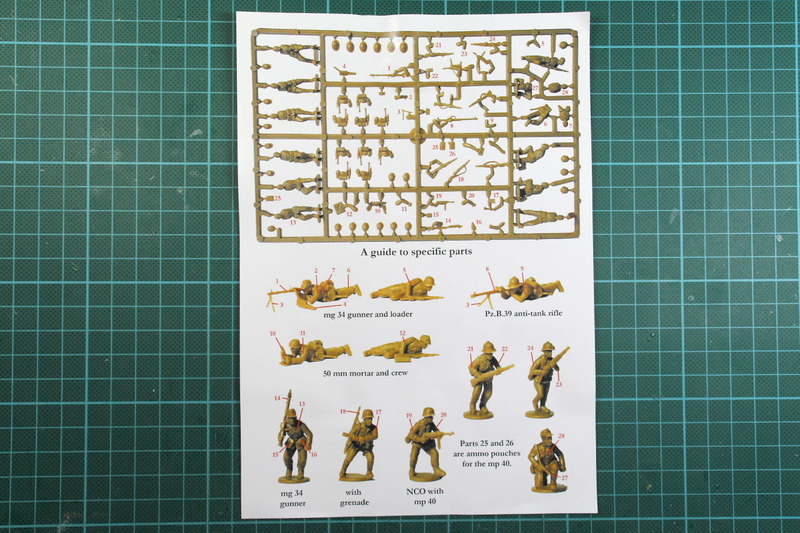 The box includes enough parts to build some special choices, like the anti-tank rifle, a light mortar and the forward observer. The soldiers are missing their waist belt, as i add them later. 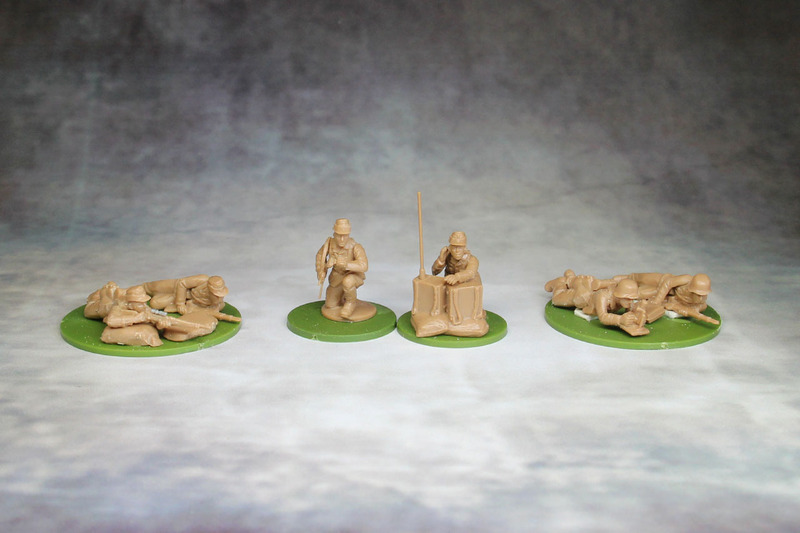 Please remember the World War II Range by the Perrys is a bit more nimble, and true 28mm scale. 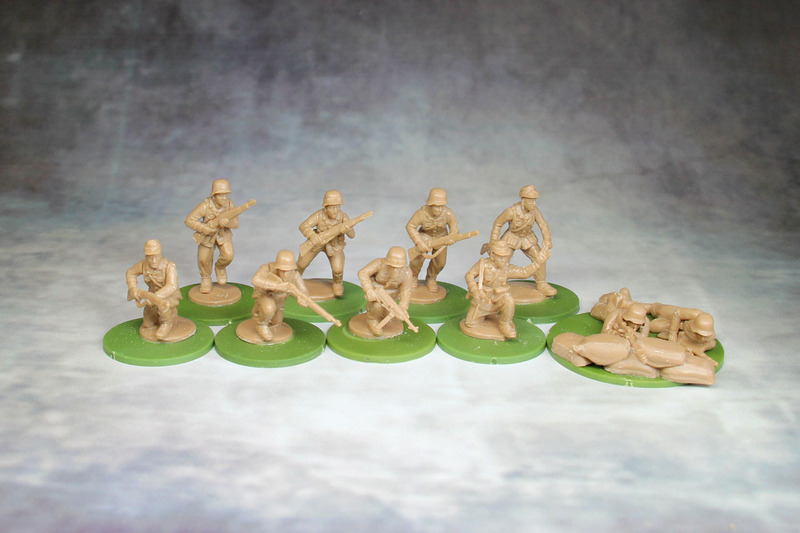 So these mix not that well with Bolt Action or even Artizan, but should work well with the Foundry World War II Range (of which many were sculpted by the Perrys back in the time). This box is fun to build, it goes easy and fast. You have some minor mold lines to get rid of and in some cases it is a bit tricky as they may run right across the face. You have a lot of weapon options, but lack a bit of variation with open hands, other than that a superb set, at a very reasonable price. 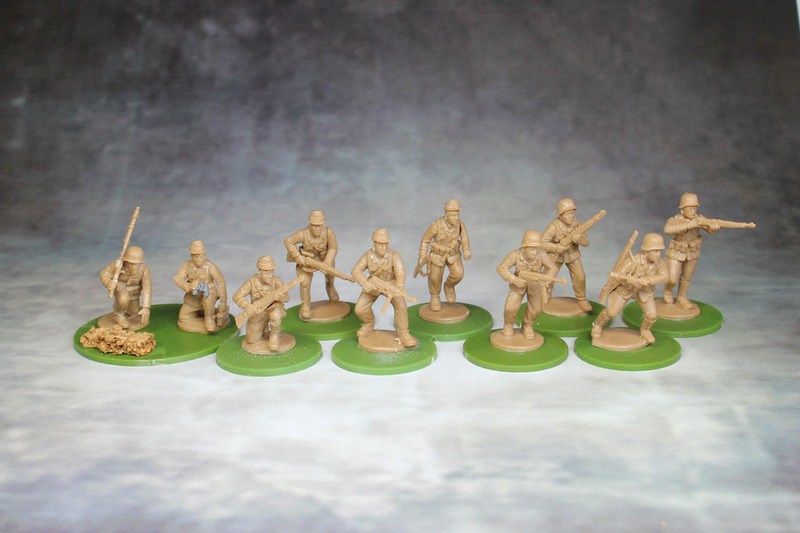 The Perrys do offer a range of metal miniatures that add other weapons and codes to the Afrikakorps. I'll talk about these in future posts. Großartig, danke für die tolle Review. Ich finde ja die Perry-Figuren sind nach wie vor mit das beste, was es so in Plastik gibt.